This clean and bright house is just minutes walk from the Bear Peak Base Lodge. It is located on a private dead-end road and situated on 2/3 of an acre. Sit on one of the two outdoor porches or come inside to enjoy the Vermont Castings wood stove. Five Skylights brighten the interior of this spacious contemporary with an open floor plan, high ceilings and beautiful wood beams. Enormous Master Bedroom includes Jacuzzi. A fully equipped kitchen makes catering for yourself easy. Mud room/ entry way provides space to store gear. Linens Provided. Equipped with Washer/Dryer. Head to the mountains, the Saco River, Storyland, or Conway. Enjoy everything that the Mount Washington Valley has to offer only minutes away from this vacation home. FALL IS HERE!! : Autumn is in the Air & the New Hampshire House is where You Want to Be! Summer Fun and Crisp Autumn Air collide for Perfect Conditions and You are in the Center of it All: Hiking from Your Front Door, Storyland Open Weekends, Pristine Saco River Swimming. Foliage Emerging, North Conway-School & Christmas shopping. Mt. and Road Biking Paradise. Enjoy Your Outdoor Playground @the NewHampshireHouse. Fully stocked, great location, plenty of space! Stephen and Christine's rental unit was perfect for our group of 9 adults. There was plenty of space to spread out, kitchen was very accommodating for cooking and eating in. Their kitchen was supplied with an abundance of pots, pans, bowls, and anything else you may need to cook at the unit. Place had extra towels/linens and toilet paper for our entire 3 days stay. Would highly recommend this place to others. Short distance to North Conway for restaurants and even closer to Attitash/Bear peak. If the snow banks on the streets weren't so high at the time we would have walked to Bear peak for Apres Ski. Thanks for a pleasant and easy rental and allowing us to check in an hour or so early. Lovely home, convenient to Attitash. Nice house located between the two Attitash base areas. Very comfortable and well appointed. The kitchen has everything you need to feed a crowd of hungry skiers. Owners are friendly and respond quickly to questions. Clean and well appointed. Steve and Christine were very helpful with suggestions and tips. The layout is great to accommodate groups from just a couple up to 8. The wood stove was great, and there was firewood and kindling stocked in advance. The rooms are comfortable and there is a washer and dryer for clothing that gets heavy use on an outdoor weekend. We didn’t eat in, but there is a full kitchen and a large dining table. Lots of good places to eat in town, and a grocery store nearby at the junction of routes 16 and 302. The house was great for a family vacation. Walking distance to Bear Peak and close to everything else that we did. Only thing not available was cable, but they did have a smart tv so we just used our Netflix. We had two families and there was plenty of room for sleeping and entertaining. The wood fireplace was a great bonus as well as the bigger screen TV in the living room. The house was even nicer in real life than it looked in the photos. Very convenient to numerous ski resorts in the White Mountains of New Hampshire. We had everything we needed for our stay with 6 family members. The owner was very helpful and responsive. In addition to skiing, we enjoyed visiting and eating out in the charming local towns. I would definitely recommend this property to prospective renters! 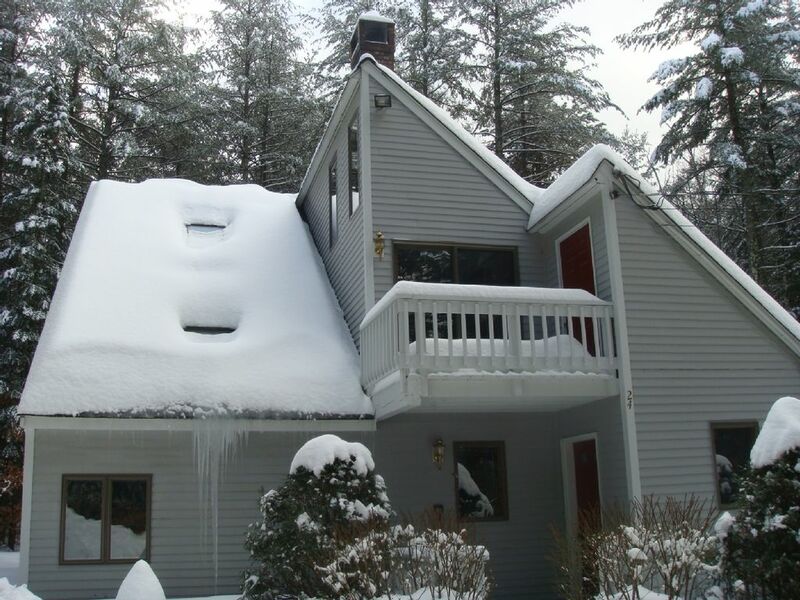 House is Located in between Attitash and Bear Peak base lodge which allows you to walk to skiing. Across the main road is public access to the Saco River as well as trails and a fishing pond. 5 miles to StoryLand, 10 miles to N. Conway or Crawford Notch, and 26 miles drive to the top of Mt. Washington. Friday, Saturday, Sunday Nt @$250/nt, Mon thru Thurs Nts @$200/nt. Special Circumstances Considered.